Country Rhodes wants to help you avoid all the stress of the holidays. We have put together ten tips on making your holiday a success. 1. Narrow down the to-do-list. Try to slim down the list of chores to the bare necessities. 2. Minimize the gift list. Limit gifts to children only, draw names, or organize a gift exchange. 3. Minimize the cooking. You do not need to spend all night Thanksgiving eve baking till two in the morning. Have Country Rhodes get you organize and eliminate some of the cooking time. 4. Wrap as you go. You do not to spend all of Christmas Eve catching up on wrapping. 5. Call, don’t send cards. Reach out and touch someone by using those cell phones. Everyone has one in there back pocket 24-7. Online greeting cards are fun to send and receive. 6. Cut down on the cleaning. Focus only on cleaning the kitchen and bathroom, do not worry about everything being perfect. It is the time of year to enjoy family and friends. Clean up after the holiday season. 7. Scale back on the decorating. Focus on the big three. The front door, the table and the tree. 8. Downsize on dish washing. 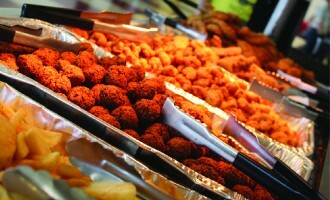 Why not let Country Rhodes cater all your parties so you can sit back and enjoy all your family and friends. 9. Buy, don’t bake. 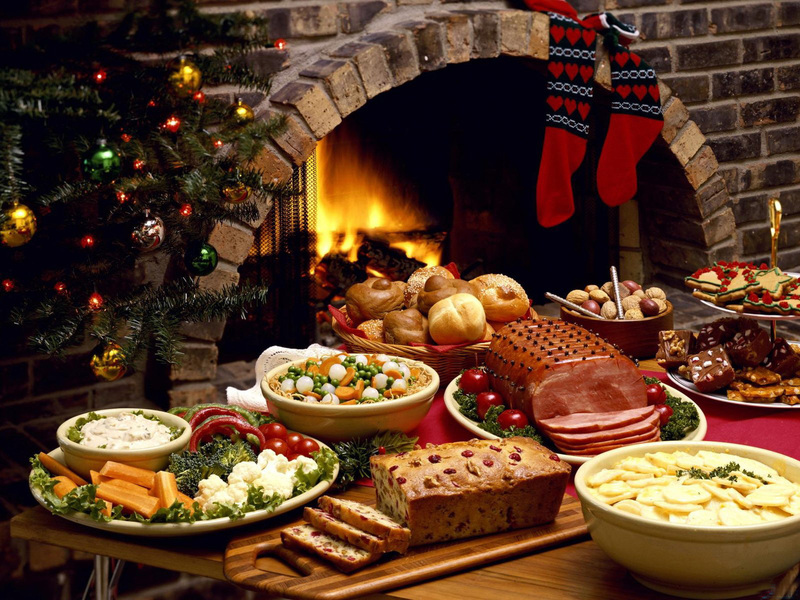 Turn your back on the oven this year and let Country Rhodes be your source for all your holiday parties. 10. Stay at home! Cuddling down by the fire with all your family and friends, sleeping under the tree, watching your favorite holiday classic movie, singing Christmas carols, or just admiring your tree. 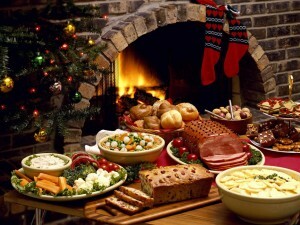 Country Rhodes has you covered for all your Holiday parties and a road to a successful stress free holiday! 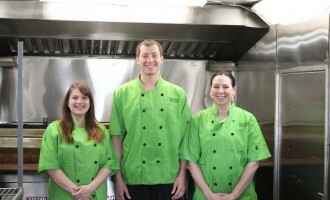 We can provide fresh quality food cooked onsite for your special holiday party. Country Rhodes focuses on providing a wide range of catering services to suit all your holiday needs and eliminate all the stress. It is almost that time of year again….the kids are heading back to school, the leaves are going to start changing color soon, and the smell of fall is in the air. It is one of our favorite times of the year football comes back on and the Sunday eating fests begin! We have put together the top 10 items needed for a successful tailgating or football feeding frenzy! 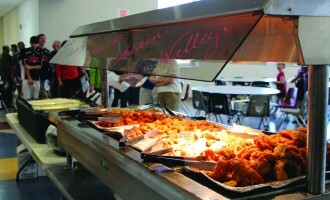 Wings: These are essential to any football event, the hotter, stickier, and tastier the better. Our favorite of course is the smokehouse bbq style! Beer: No football or tailgating frenzy is complete without beer. The cheeper the better unless of course you are trying to impress! Cooler: You’ve got to keep the food cold and the beer even colder. A cooler is essential if you are having a football party at your house place it just outside the door on the deck for easy access and of course keep the recycling bin right next door! A Big Screen: Always put a big screen tv with your favorite game front and center. Chairs: The more the merrier. The couch is going to fill up with folks real quick so have some extra chairs handy! RIBS: Ribs are one of our all time favorite things to have for a football frenzy or tailgating event. Slow cooked, falling off the bone deliciousness! Napkins: You are going to get messy, the sticky wings, the beer, the ribs, chips, and the food overload. Don’t forget the napkins or even better wet wipes! Keep it clean! Table: We alway encourage people to have a dedicated table for all the food. It helps keep the food organized, the people in line and of course you can very easily see the amount of food you have out! GEAR: No fall football fest is complete without the gear! Sport your favorite team’s jersey and encourage others to do the same. Rivalries? No problem…the trash talk only adds to the fun! 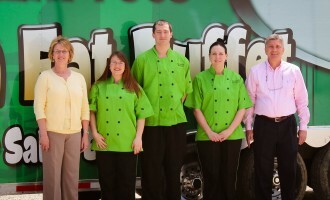 A COOK: Either you or someone you know is going to have to be the head chef….you need someone who is willing to get up during the game for a few minutes to check on the progress of the food, do the leg work and ensure the food is amazing….or you can always hire us to do the catering for your next big football frenzy party! Have a successful Football Frenzy! Labor Day is upon us and with it comes the end of summer. What better way to close it out then with friends, family, the outdoors, and your grill? BBQ’s and outdoor get-togethers are some of the best parts about summer. Food, games, and good company, what more could you ask for? 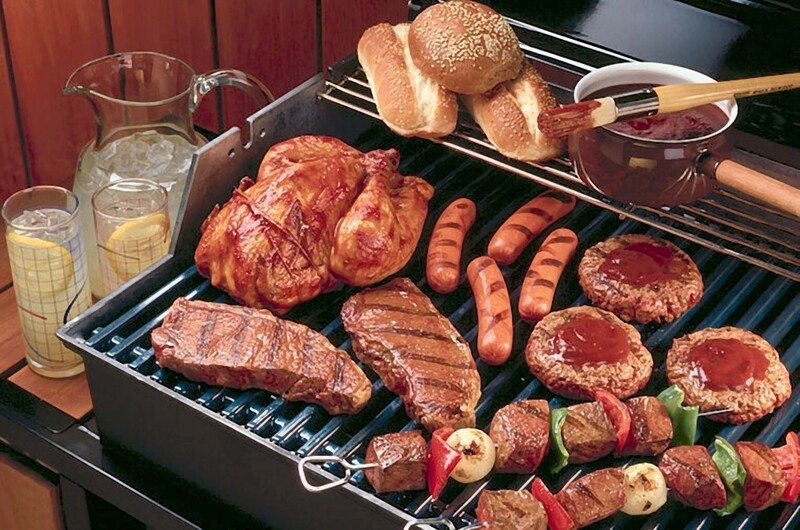 So if you’re thinking of planning one here is some helpful tips that will help ensure your Labor Day backyard barbeque is a success. If you want your backyard party to be a success don’t wait until the night before to start planning and inviting guests. Get a jump-start on it and get it on everyone’s calendar! Start figuring out what kind of food you’d like to serve, who you’d like to be there, and what kind of activities you’d like to have. Unless you have an enjoyment of preparing meals for large groups of people it can be helpful to ask guests to each bring a dish. You’d be surprised how many people have a specialty dish that they love bringing out to show off. Be sure to coordinate who’s bringing what. You don’t want to end up with 10 potato salads. It’s also a good idea for you as the host to provide the backbone for this meal. It’s a cookout and most people expect hamburgers and hotdogs to be there as an option. Stock a few veggie burgers as well for your vegetarian friends. Now most adults are pretty easy to keep entertained. A few decks of cards and some conversation will keep them interested for hours. Kids on the other hand though, are a different story. Hula-hoops, sparklers, and bubbles are always a hit with younger kids. S’mores are a great idea too. They’re an activity and a desert! And for the older kids, maybe a bocce ball that they can enjoy on their own away from the adults and young kids. Teenagers love a little independence. You should also plan to have plenty of coolers and ice available to keep beverages cold. It’s also a great way to help keep everyone out of the kitchen and outside mingling. And, if you don’t have a bunch of coolers lying around then ask your guest to bring theirs along so all you’ll need is the ice. Every once and a while the weather doesn’t play along with our plans. When it doesn’t, it’s a good idea to have a back up plan. Board games, cards, and quiz games can make for fun savers when the outside forces the party indoors. These simple tips can make for a great cookout every time! Be safe and enjoy this time with your friends and family.